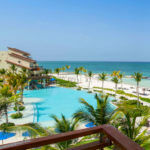 AlSol Hotels & Resorts is a fresh, new luxury hotel chain in Cap Cana in the Dominican Republic. 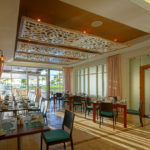 Four distinctive Cap Cana properties are operated under strict standards, attentive service, luxurious and comfortable accommodations with high quality food and beverage offerings. AlSol Resorts are recipients of many awards such as the AAA Four Diamond Award and the TripAdvisor® Certificate of Excellence. They offer the ultimate feeling of enjoying a ‘lifestyle of the rich and famous’ vacation experience without the cost of one. AlSol Del Mar Resort is located along miles of private beach, nearby the stunning Cap Cana Marina and only 15 minutes away from the Punta Cana International Airport. Our guests can choose from All Inclusive or European rate plans. The resort features 122 beautiful apartments ranging from 700 Sq. Ft. Deluxe studios to 1,776-Sq. Ft. 2-bedroom suites. 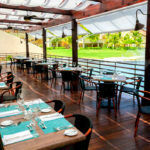 AlSol Del Mar is located in Cap Cana, the beautiful resort area inside Punta Cana. 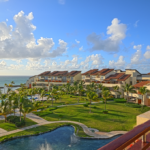 Cap Cana is the perfect destination for travelers searching for true Caribbean luxury. Cap Cana is made up of 30,000 acres of flawless beaches, and oceanfront valley roads. Cap Cana is the ideal destination for any type of traveler, with a variety of things to do, such as, water sports and outdoor activities, and high quality restaurants. This destination is also home to the incredibly popular Punta Espada Golf Club, which is considered one of the best golf courses in the Caribbean. Cap Cana also holds one of the most spectacular Marinas in the world, famous and accredited by international journals for its fishing. All of these amenities combined with Cap Cana’s turquoise waters and white sand beaches make it one of the most beautiful and desirable vacation spots in the world. No wristbands and no a al carte restaurant reservations required. Although you can always secure one. Stay at one and play at all three. Enjoy all the facilities day and night. Stroll through the Village: intimate, boutique-style setting is easy to navigate – no need for resort shuttles. More personalized service: with a higher staff to guest ratio, staff get to know guests and their preferences. Only 10 to 15 minute transfer from Punta Cana International Airport and private jet area. An Exceptional Life Event Consultant and Meetings and Incentive Sales Manager are located in North America to assist groups, reunions, weddings and honeymoons. Bringing dedicated, personalized service to the bride and groom ! Only one wedding is celebrated per day at each resort ! Romantic and unique wedding venues; indoor, outdoor, rooftop, beach, and more ! Stunning Spanish Colonial-style stone church by the water !